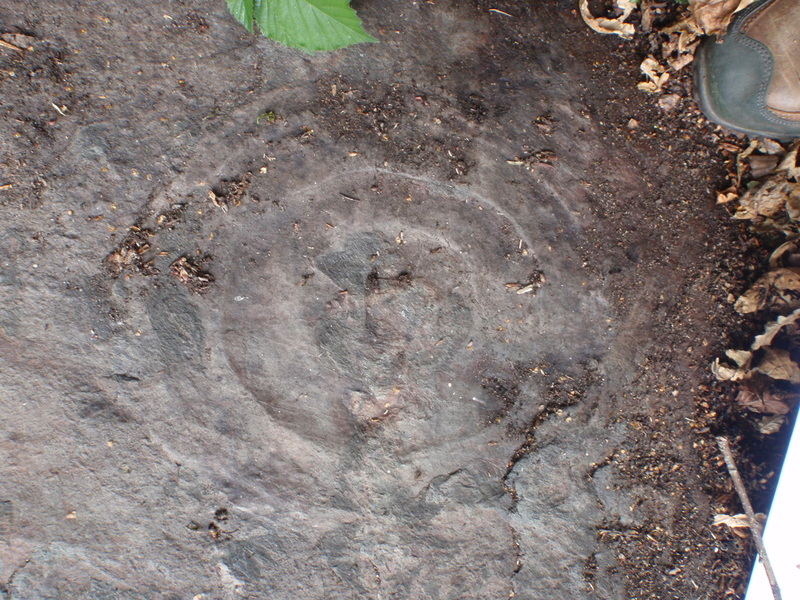 Charnwood Forest is the site of one of the most important early Ediacaran discoveries, and continues to reveal new taxa and localities even today. Ediacaran volcanic and sedimentary rocks, folded into an anticlinal structure, underlie large tracts of woodland and farmland. They outcrop on high-points as rocky crags, several of which possess macrofossils. An Ediacaran-Cambrian boundary section is also present in this region. The sedimentary rocks were deposited in predominantly deep-marine environments (Carney, 1999), and volcanic tuffs within the sections date the bulk of the fossil-bearing beds to 569-556 million years in age (Noble et al., 2015). Macrofossil assemblages are dominated by rangeomorph taxa, and microfossils are extremely rare. Impressions of Ivesheadiomorphs in the Ives Head Formation may be older than 600 million years in age, but constraining their precise age has proven difficult. Bradgatia linfordensis specimen, from Charnwood Forest, Leicestershire, U.K. The first Ediacaran fossil to be found in Charnwood was discovered by three schoolboys while climbing in a local quarry in 1957. One of them, Roger Mason, brought the specimen to the attention of Trevor Ford of the University of Leicester. Ford immediately realised the significance of the find, recognising that the fossil (which he named Charnia masoni in honour of its discoverer) was similar to those found previously in Australia and Namibia. Importantly, and unlike in those other localities, the Charnwood specimen occurred in undoubtedly pre-Cambrian rocks. Ford's paper was therefore the first to demonstrate that the unusual soft-bodied fossils of the 'Ediacara biota' truly predated the Cambrian (Ford, 1958). In recent years it has become apparent that there are two preludes to this discovery. The same specimen had been observed a year before Roger Mason found it, by a schoolgirl called Tina Negus. She was unable to convince her teachers of its importance, and it therefore remained in the quarry to await later discovery (Ford, 2011). Even more remarkably, impressions of large 'rings', now known to be the holdfast structures of giant rangeomorphs, were recognised by quarrymen in the same quarry in the 1800s (giving the quarry the local name 'the ring pit'), and also by amateur geologists, who speculated on the biological nature of the specimens, in 1847 (summarised in Howe et al., 2012). In these cases, the perceived wisdom of the time - that there were no fossils in the Precambrian - was a key factor in preventing the importance of the discoveries from being realised. One of the large 'ring' fossils from the quarry where the original discovery was made. It is now recognised to be the holdfast structure of a rangeomorph informally termed 'the dumbell' (see Wilby et al., 2011). 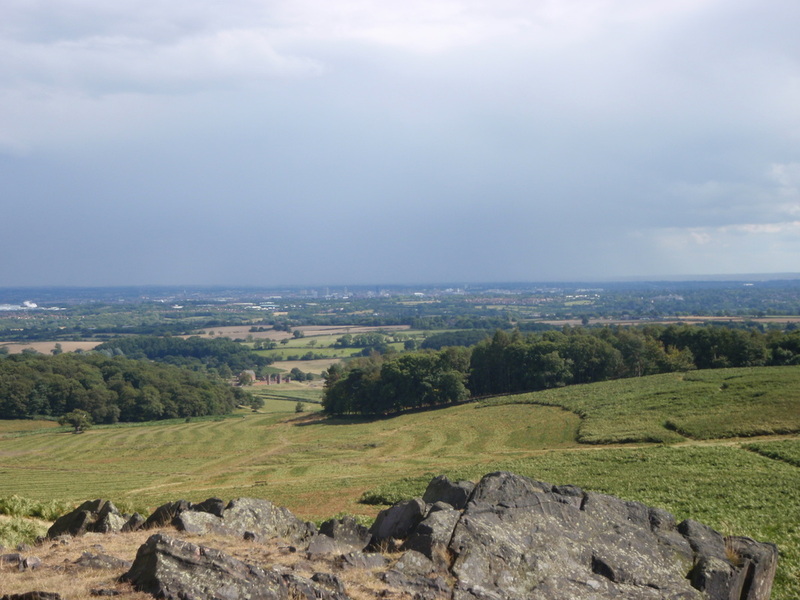 Charnwood Forest in Leicestershire, central England, is a composite site consisting of six main localities (North Quarry, Memorial Crags, Outwoods, Ives Head, Cliffe Hill Quarry, and Hangingstone Rocks), spread over an area of 8 x 8 km2. All fossil localities lie within the English countryside, meaning that exposures are largely limited to quarries, roadcuts, and crags of rock on topographic high-points. Several sites are protected by SSSI status. Two of the sites (Outwoods and Memorial Crags) lie within public parks, and therefore are vulnerable to human degradation; Memorial Crags in particular shows recent evidence of vandalism, graffiti, and fossil removal. A local group, the Charnia Research Group (currently chaired by Dr Helen Boynton), has been set up to help deal with this issue. Rocks of the Charnian Supergroup outcrop in the core of a faulted anticline, broadly centred on Morley Quarry (Carney, 1999). The sequence comprises mostly fine-grained volcaniclastic sedimentary rocks, which have undergone lower-greenschist grade metamorphism (Carney et al., 2008). Most fossils are found in the Maplewell Group, specifically in the Bradgate Formation, the base of which has been dated at 563 ± 1.9 Ma (Wilby et al. 2011). The general environmental interpretation infers deep-water sedimentation within a volcanic fore- or back-arc basin. Cambrian units of the Brand Group overlie the Ediacaran strata within Charnwood Forest, and contain trace fossils (McIlroy et al., 1998). Since the mid-1990s there has been an increase in the study of Charnwood Ediacaran sites. Local Leicestershire resident Helen Boynton began this in collaboration with Trevor Ford, naming several of the key Charnwood taxa, including Bradgatia linfordensis. In the early 2000s, researchers at the University of Oxford and the British Geological Survey began to explore Charnwood's fossils in more detail, applying laser scanning techniques (Brasier & Antcliffe, 2009) and large-scale casting and moulding programmes (Edwards & Williams, 2011) to obtain more information from the surfaces. The casting programme in particular has led to significant discoveries, with 1000s of new specimens and several new taxa. Amongst these are the suggestion that there is a high degree of endemism within Avalonian localities (Wilby et al., 2011), and the recognition that there is substantial time-averaging within the preserved assemblages, with sedimentary processes and microbial decay both playing a role in determining the composition of the observed fossil communities (Liu et al., 2011; Wilby et al., 2015). The Charnwood sections are also amongst the most well-dated of Ediacaran fossil-bearing sections, owing a recent study led by the British Geological Survey (Noble et al., 2015). Several U.K.-based Ediacaran PhD students and postdoctoral researchers on a visit to Charnwood Forest in 2014. A webpage with links to all geological and palaeontological publications relating to Charnwood Forest, extending back to the 1800s, has been compiled by members of the Charnia Research Group, and can be accessed here.